Deputy Foreign Minister Hotovely says every sovereign country has the right to remove illegal job-seeking infiltrators. 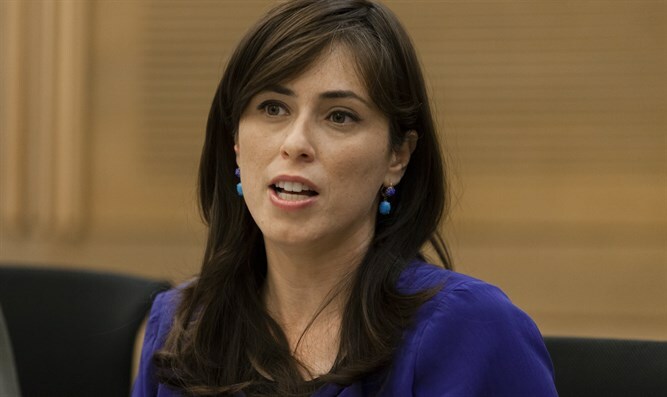 Deputy Foreign Minister Tzipi Hotovely (Likud) spoke on Monday morning at a meeting of the Knesset's State Control Committee on the subject of Israel's planned removal of illegal job-seeking infiltrators. "Israeli citizens are living under the terror of the infiltrators, and they are suffering from violence," she said. "Every sovereign country has the right to remove illegal job seekers who enter its gates. They will be removed to very safe countries, where there is a regime that will enable them to lead high quality lives. They will receive $3,500. That's a huge amount, and they can do almost anything they want with it." Joint Arab List MK Dov Khenin called the phrase "terror of the infiltrators" "inappropriate," requesting it "be removed fro the protocol." "I will say it again: There is infiltrator terror in southern Tel Aviv," Hotovely said. Yossi Edelstein, who heads the Population and Immigration Authority's Administration for Enforcement and Foreigners, emphasized that asylum requests submitted prior to January 1, 2018, will be investigated before the removal. However, he said that "between January 1 and today, 2,000 new requests have been filed by Eritreans and Sudanese. We are investigating what to do with them, but at any rate, it will not delay the removal from Israel." Under Israel's program, the infiltrators have until the end of March to leave. Each will receive a plane ticket and $3,500 (2,900 euros) to do so, and those who remain will face arrest. Bona fide refugees are not included in this plan, which is meant for illegals who sought employment in Israel. Women, children, and families are not included in the plan.